Mini loves her sisters very much. She especially loves their hair. This evening Maxi and Midi sat on their little chairs in front of a Mr Tumble DVD we’re reviewing, waiting for dinner. Mini zoomed over to Midi, stood up, and carefully started trying to comb her big sister’s hair with a little toy comb. Of course, it got stuck in Midi’s bobble and tugged, making Midi yelp. Fair play to my little thug, she gently moved Mini’s hand away rather than shove her over. On being looked at by her idol, Mini immediately started to blow kisses to Midi, beaming at her all wide-eyed and toothless, gummy grin, with the new added twist of a wrinkled nose. Mini sometimes forgets that she can’t stand on her own and does, for a few seconds at a time. She’s obsessed with posting things in holes – God help our video player. Today (Friday – I held off posting until I could upload pics) was the last day of The Boss’s holiday from work. 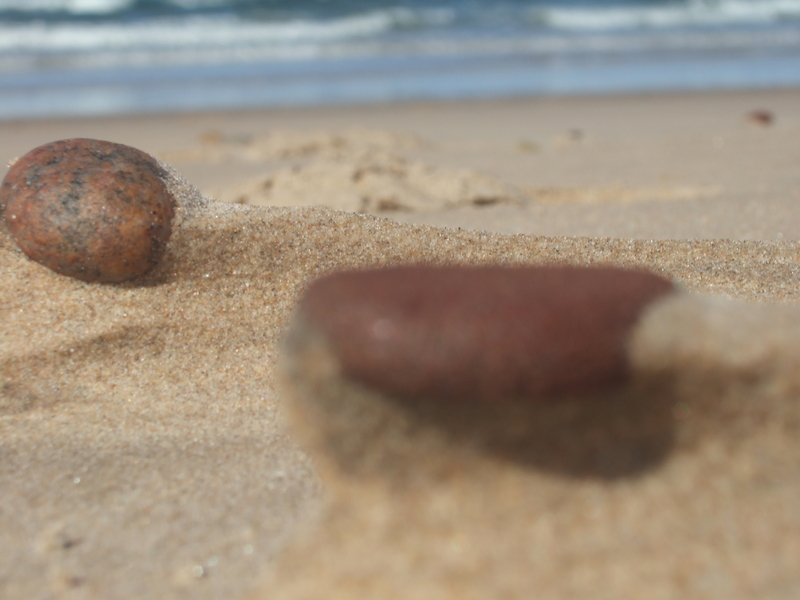 The threatened rain disappeared into glorious sunshine, so we went for a walk along the Moray coast. First off though was lunch at the Covesea Golf Club because The Boss had seen a good menu there once. Well, my word, we ate like royalty! We shared a half-lobster salad and a baked potato and smoked haddock. Delicious! No wonder it was heaving, with loads of oldies waiting in their cars outside. I reckon they form a co-operative: 5 or 6 oldies go to different eateries around Moray. One starts the chain text: “They’re doing Cullen Skink at the Garden Centre!” and the rest all descend on the place. We gave some creamy sweet lobster to Mini, but she preferred the wholemeal bread and <shudder> margarine. I braved putting Mini in a back-wrap in public. Well, on the grass beside the carpark just in case she fell. This time she didn’t wriggle or complain – maybe she’s finally sussed that the rainbow wrap flapping about means an hour or 2 of Mummy-cuddles! This wrap was a new one again: Back Wrap Cross Carry with rucksack straps and a Tibetan finish. I preferred yesterday’s front cross BWCC even though it flattened my miniscule bust even further. And by the way, I do own more clothes than that old red fleece and waterproof grey trousers. Hell, I even wash these ones! But they’re so practical that I do wear them most days in early spring / winter. Really. Anyway, we walked around the trail from the lighthouse towards the west for 45 mins, then onto the sand and a bimble back (at high tide too). The gorse is really starting to come out. I hear tomorrow is going to be pretty calm, so the scent should be heavenly. I can’t wait! It’s my biggest and most favourite Spring treat, breathing in the gorse perfume. 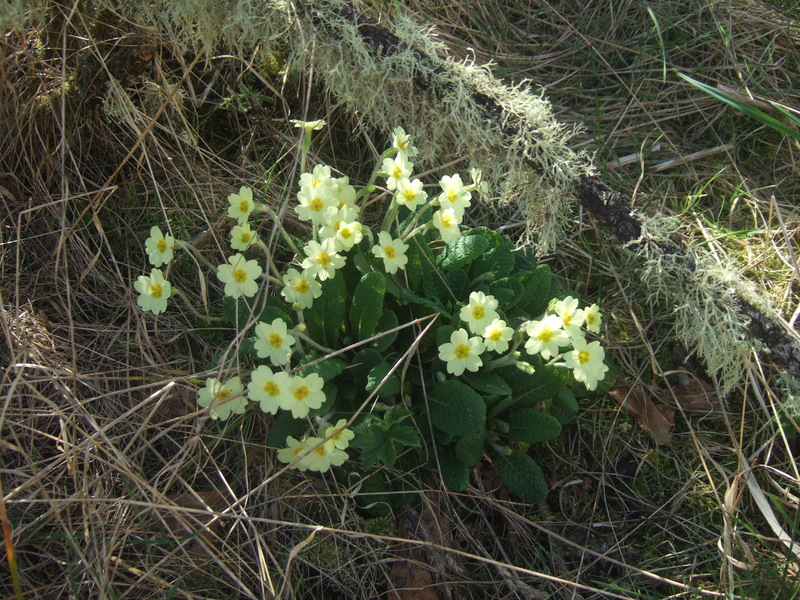 We also came across some wild primroses which I’d never seen before. Lovely! 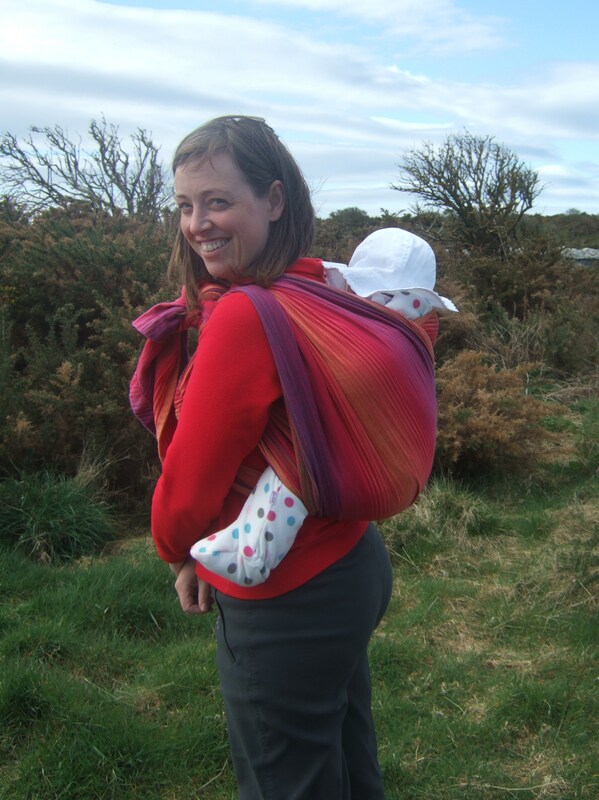 This entry was posted in baby milestone, Out and About and tagged baby idol, baby-wearing, back wrap cross carry, children, Covesea, gorse, Moray coast, Moray trail, rucksack, Tibetan, wild primrose by GrumpyOldTrout. Bookmark the permalink. interesting webpage, I will check again, thanks mate!